Brock Car's "Dead Behind the Eyes" by Brock Car is a fast-paced murder mystery set within a corporate culture. In tandem with the murder itself, this creative work in the genre of corporate intrigue also tells of affairs and their ramifications, love and lust, and loyalty, with a main focus of how people respond to adversity. Max Riley, the recently promoted CEO of Great Western Communications, was murdered while traveling on a corporate jet from Denver to Omaha. Who did this and why? Claudia Sullivan, a private investigator working pro bono on the Riley case with other colleagues, aims to answer these key questions by looking into the intricacies and motivations of the players involved. This novel is so strong because the writing is excellent with an emphasis on relationship and character building that is both realistic, with the descriptions of specific idiosyncrasies, and fascinating, in the manner of its execution. The organization of the story is also superb. The prologue really piques readers' interest! 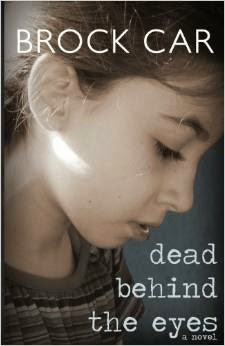 "Dead Behind the Eyes" is an engaging mystery novel set in the corporate world that will have you hooked from the beginning! A must-read for any fan of the genre.